In 1999, I covered the now defunct Kemper Open, which was won by an utterly unknown rookie named Rich Beem. Actually, it was won by his caddie Steve Duplantis, who rode Beem like a jockey in one of the great caddying performances the Tour has ever seen. Amazingly, it was their first event together—Duplantis had been canned a month earlier by Jim Furyk after a long run during which Steve earned the nickname "Asbestos," because he was seemingly fire-proof despite chronic tardiness and other shenanigans. Beem and Duplantis were such colorful characters that I began hanging out with them for what would become the book, Bud, Sweat & Tees. Back then, Duplantis's adorable little daughter, Sierra, was not yet 4. Her mother, Vicki, an exotic dancer, and her father had been married in their swimsuits under a palm tree by a notary public after a 19-day courtship. Domestic life didn't suit Vicki, so Duplantis wound up as a single dad, traveling the Tour while forever in need of child care. The caddie had his flaws, but he loved his daughter deeply. The defining tension in his life was trying to provide for her while heeding the siren song of the road. Sierra spent one summer with her dad's then girlfriend, a Brazilian woman who spoke no English. Steve didn't speak Portuguese, but as he explained to his daughter, "Beauty needs no language." It was Sierra's good fortune that her father met Jennifer Cooper during a brief period when she was hawking Mastercards at Tour events. Jennifer was from the quaint village of Hickory, N.C. She became Sierra's nanny and resettled her in Hickory amidst a large, loving family. To facilitate enrolling her in school, Steve signed over custody of his daughter. Jennifer had a big heart but also a life of her own, so over time her mother, Angie Williams, became Sierra's primary caretaker. Angie was going through a divorce and bonded intently with a sweet, strong-willed little girl who desperately needed stability. "We kind of saved each other," says Momma Angie, as she is known. After the Kemper breakthrough, Duplantis and Beem lasted only four more months together. Steve struggled to find steady work even though his gifts as a caddie were undeniable—at the '03 Texas Open he guided Tommy Armour III to a four-round score of 254, then a Tour record. Sierra remembers being in the gallery that week and her father's unfettered joy in victory. The Tour was a welcoming place. "I think Tabitha Furyk changed more of my diapers than my dad did," she says. In January 2008, when he was at Torrey Pines caddying for Eric Axley, Steve went out for a long night of drinking in nearby Del Mar. At 1:52 a.m., hours before the Wednesday pro-am was to begin, he stumbled from the median into oncoming traffic and was struck by a taxi. He died at the scene. Sierra, 11 at the time, still gets emotional reliving the awful phone call. 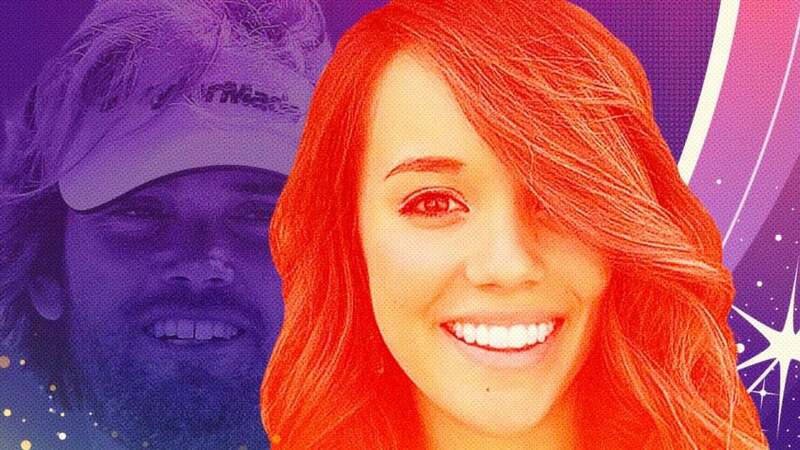 The Tour community rallied around her, setting up a college fund that put Sierra through Clemson, from where she recently graduated, with honors. She is a lovely young woman, bursting with confidence and idealism. She made the most of her college experience: vice president of the model U.N. team, a delegate for the Pan-Hellenic council, an intern for Lindsey Graham. She'll be enrolling in law school in the fall. "I want to work for a nonprofit that helps underprivileged kids," Sierra says, with a faint Hickory twang. "Because I've been helped so much by so many." "How awesome is that?" says Beem. "She didn't have an easy road, but what a great success story." Sierra has lots of fond memories of her dad: his infectious smile, the way he'd brush her long hair. "I would give anything to have just one more day with him," she says. "I love my dad. I know I didn't have a traditional childhood, but I wouldn't change anything. If I'm a strong person it's because of him." Indeed, Steve's legacy will always be his little girl. After he died I read the medical examiner's report, and one detail has always stuck with me. On that fateful night in Del Mar, Steve was wearing a sneaker on which he had written two words: death and love.